collapse of the world's banking industry. And sober up at the same time. Can he do both? Note: The cover and notes included here are from the edition published by PublishAmerica. I bought the publishing rights back from PublishAmerica and I am rewriting the novel. 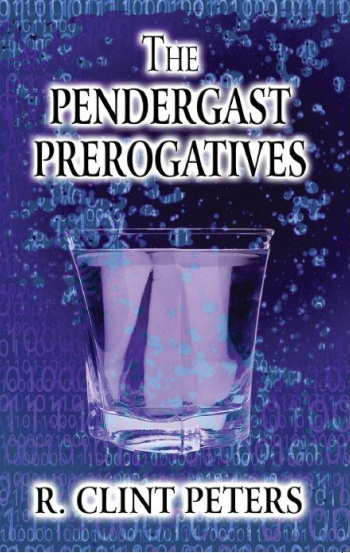 The Cover and notes for The Pendergast Prerogatives will change when the book is submitted to my new publisher. About twenty years ago, I got an idea for an incident set in the last days of the Korean Conflict. That idea eventually became "The Pendergast Suppositions”, the fourth book in the series. Between book 1and book 4, new ideas flowed, and "The Pendergast Solution" and "The Pendergast Alternatives" were written. After book 4 was finally down on paper (or in my document files), I started writing the fifth book of the series, "The Troubles With Arsenic". I would like either Tom Selleck or John Travolta to play one of my characters. asked to save the banking industry and sober up at the same time but will he be able to do both? Is your book self-published, published or represented by an agency? It is no longer published or represented by anyone. I was able to purchase the publishing rights back, and it is being completely re-edited. The previous publishing house missed out on a good deal when they refused to sell any of my books. I do not suggest anyone purchase any of the Pendergast series until I get the rights restored to me, and can re-write the other 3 novels. About six months, although in hindsight, I wish it had taken longer, or at least the length of time needed to do a proper edit and properly research publishers. What other books or authors would you compare this story to within your genre? I like the works of Tom Clancy. The biggest inspiration was my years in the computer industry, and the time spent on the Internet. I have incorporated computers and the Internet into the book. In some cases, especially for the members of my family who tried to read the novel, I put too much Internet into the plot. As one reader said: I really like your book, but I didn’t understand much of it. I try to make the locations in all my novels as accurate as possible, except for Pendergast City, in Idaho, which I created out of thin air. Google Maps comes in really handy for finding things.